Please help me welcome Steven Manchester to Library of Clean Reads today! Steven has just released another novel and I am spotlighting it here. Steven is also guest posting about his writing process. I hope you get a chance to read it. Steven started writing when he was a prison investigator and his reason for starting to write was a challenge. But I won't say more. Read on! 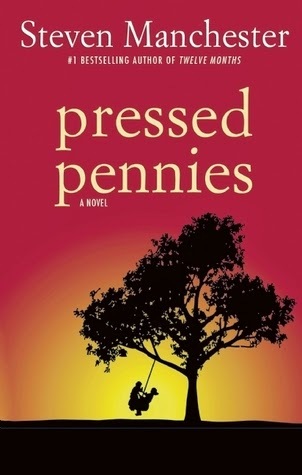 Pressed Pennies is a nuanced, intensely romantic, deeply heartfelt story of love it its many incarnations, relationships in their many guises, and family in its many meanings. It is the most accomplished and moving novel yet from a truly great storyteller of the heart. I suppose I discovered the writing world by accident – or perhaps it discovered me. I’d just returned home from Operation Desert Storm, and was working as a prison investigator in Massachusetts. Needless to say, there was great negativity in my life at that time. I decided to return to college to finish my degree in Criminal Justice. During one of the classes, the professor talked about police work but nothing else. Nine months later, I dropped the first draft of 6-5; A Different Shade of Blue on his desk. From then on, I was hooked. I was a writer. I’d written a lot at my job (report writing), but it all started with my college professor’s challenge. Perhaps because of my age and experience, I understood right away that writing is a craft that takes time to evolve; to mature, so I spent the next several years PRACTICING my chosen craft. Under the pen name, Steven Herberts, I wrote in every venue of print I could get my name in: newspaper, magazine, etc. I also penned two collections of poetry, and wrote drafts for two more books. After five solid years of writing, I finally believed that I’d found my voice; MY STYLE – and was ready to contact an agent. The greatest challenge for me has been time. First and foremost, I am a dad and my children come first. After that, there are other responsibilities that need my attention. Yet, my passion to write has constantly gnawed at my soul. To overcome the obstacle of time, I made writing a priority over watching TV and sometimes even sleeping. Once my family is taken care of and the world closes its eyes, I’m up for a few more hours each day – chasing my dreams on paper. It has taken thousands of words, hundreds of pages, before I finally identified with a particular genre. I decided that my voice was a more sensitive one: a male perspective to a female audience. And NEVER, EVER, EVER quit. Most people in this industry would agree that more than talent or skill or even luck, perseverance is the one trait that will always get the job done. Knock on every door you can, and keep knocking. I promise that eventually someone will open and the warmth you feel on your face will more than validate every hour spent alone in the darkness. Steven Manchester is the author of The Rockin' Chair, as well as the #1 best seller, Twelve Months (2013 San Francisco, DIY & New England Book Festivals award winner). He is also the author of A Christmas Wish (Kindle exclusive), Goodnight, Brian (2013 Southern California Book Festival award winner), and Pressed Pennies (due out May 2014). His work has appeared on NBC's Today Show, CBS's The Early Show, CNN's American Morning and BET's Nightly News. Three of Steven's short stories were selected "101 Best" for Chicken Soup for the Soul series. 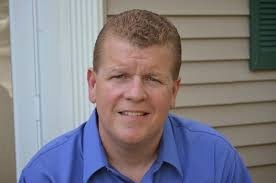 When not spending time with his beautiful wife, Paula, or his four children, this Massachusetts author is promoting his works or writing.